I was busily downloading cute fonts to use for my classroom decoration this morning when I received a call from my husband informing me that a package for me has arrived. I was trying to recall if I was supposed to be expecting another package other than the previous ones I received the other day when his voice came over the phone again saying it was a bag and a gift from Fab Manila. Yup, that’s my husband, he would definitely fail the marshamallow test. Haha. Obviously he was too excited for me, he opened the package right then and there without asking me first. Anyway, my heart gave a little dance of joy when I heard the news and in my mind, I was doing somersaults. Just the other day, I was sharing how much I love Fab Manila’s new collection, Kismet, for their sheer prettiness. The thought that one of those pretty things was waiting for me at home raised my happiness barometer a notch notch notch higher. I was in a super great mood the whole day. It turned out that it was one of the two super pretty bags that I was eyeing to buy from Fab Manila’s website for weeks now. I was actually saving up for it. I was really touched by their gesture. 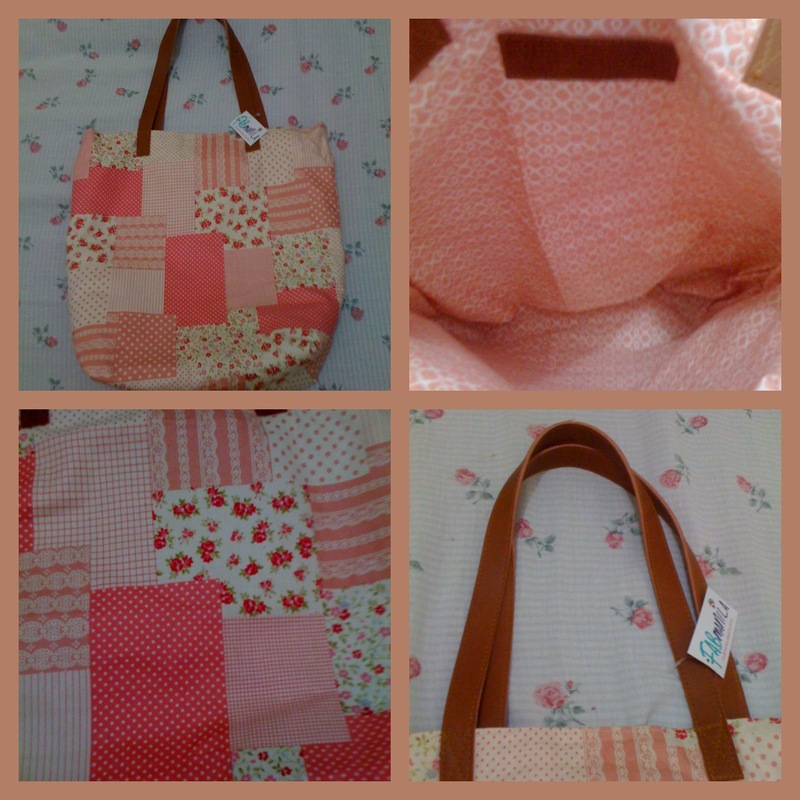 It was a patchwork creation of pink, floral, polka dots, and stripes. The things that make me happeee! I. Super. Love. It!!! 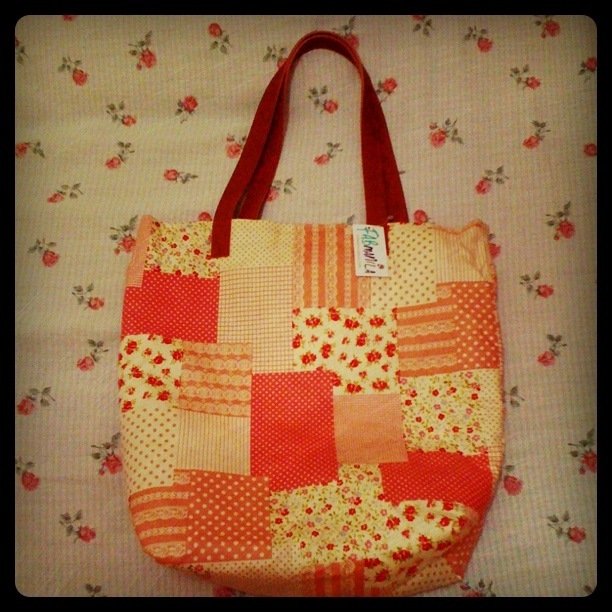 What I like about this bag is that it is reversible, you can actually use both of the pretty sides, whichever strikes your mood at the moment. It is made of good quality fabric that is dainty and cute. Thin foam was sewn in the middle to gently cushion things that will be placed inside the bag. The faux leather handles are thick and sturdy too, not one to wilt or flake after several use. Stitches were seamlessly run over, there wasn’t any sloppy stitching or extra thread, it definitely passed quality control with flying colors. It is pretty much perfect! While I am making this post, I am also browsing Fab Manila’s website and I am happy to share that they have uploaded new Wet Bag Ahoy products that are just absolutely adorbs and to “buy” for too. Check them out as like any of their other products, they run on limited stocks, and are selling like hotcakes. But then now, if you want to snag a reversible tote from Fab Manila and other super pretty items from their Kismet Collection for free, join our on-going giveaway (click here), you just might be one of the two lucky winners of pretty Fab Manila stuffs. And like me, walk away carrying HaPpiNesS on your shoulder. i want that bag too and i’m sure my daugther will love it too..
Congrats for getting the bag you want. wow! I think I would like to have that kind of bag, super like because it is reversible. I will do check out their site. Pretty bag…i’ll check on it…how much kaya? pretty!!! that bag will spell happiness for me too!!! now I was thinking of a gift for my fab sister.. I think this is perfect..